Some good Samaritans are looking to ease the suffering of shelter pets this holiday season, and inspiring others in the process. As reported by KPTV Fox 12 in Oregon, an anonymous donor gave $780 to Newberg Animal Shelter to cover the adoption fees for five dogs, one of whom who has been there for nearly five months. The shelter's manager told Fox 12 that this gift is the first of its kind in Newberg Animal Shelter's 40-year history, and has already facilitated the adoptions of the dogs, named Brad, Cooper, Jack, Shontae, and Hooch. But these aren't the only pets who have had their adoption fees paid for this holiday season. Last week, a donor in Northern Kentucky made a similar gift to benefit dogs and cats at Kenton County Animal Shelter. Additionally, thanks to another generous donor, all pet adoptions from Team Front Street animal shelter in Sacramento, CA are free through the end of the year. Even shock jock radio host Howard Stern got in on the action when he and his wife Beth paid for adoption fees at North Shore Animal League from Dec. 9 through Dec. 11. Though each of these gifts is making it easier for people to welcome a dog or cat into their home this winter, they're also calling attention to the issue of pet overpopulation in the U.S. According to the American Society for the Prevention of Cruelty to Animals, or ASPCA, 7.3 million cats and dogs enter animal shelters each year. About 2.7 million of those are adopted, but another 2.6 million are euthanized. 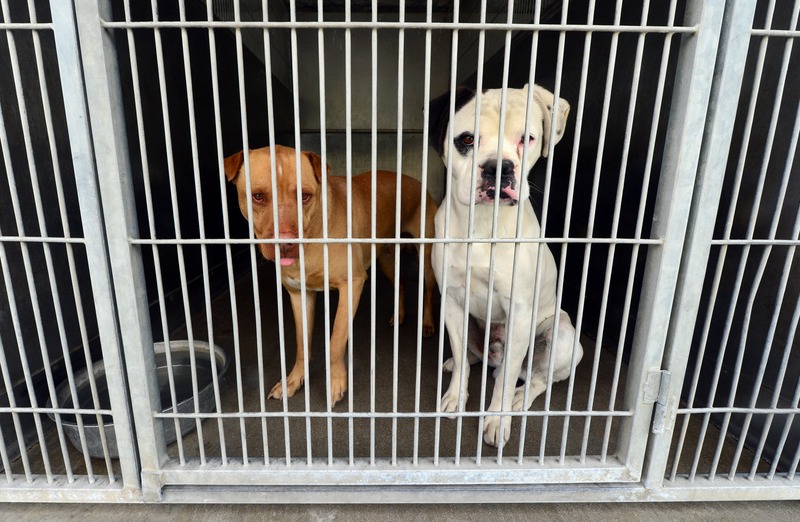 The problem is only exacerbated by owners who don't spay and neuter their pets, or those who purchase their pets from breeders rather than adopting from shelters, according to the American Humane Society. Are you a pet owner looking to donate to an animal-centric cause this holiday season? Consider donating to cover the adoption of a pet or two at your local animal shelter. Doing so is as easy as getting in touch with your shelter of choice in person or by phone, and covering, or putting money toward covering, the adoption fee of a pet that you connect with or one that you see has been in the shelter for a long time. Additionally, you can also make a donation to shelters in general to help cover expensive operating costs. Lastly, if you don't have spare cash to give, but still want to help, consider donating your time. There are few shelters that don't offer volunteer opportunities, and few shelter dogs and cats that wouldn't appreciate your coming in to spend time with them. Pet overpopulation is far from over, and animal shelters are far from being obsolete, but hopefully with some collective effort and goodwill this problem can come under control in our lifetimes. In the meantime, if you're thinking of getting a dog or cat of your own, don't buy from a breeder; adopt.